Astrology Card Set - Life Quest® Formulas, Inc.
Advanced Feng Shui, boosted with the Chi Generator®, is extreme energetic flexibility for you! Very Expensive Rigidity - or Very Affordable Flexibility... the Choice is Yours !!! Got "bad Feng Shui?"... and then some very good advice of how to change this situation? Perhaps a suggestion and "good advice" to pay thousands to an "expert" and then thousands more to re-arrange, or even re-build your home or office? In fact, by now to get the right Feng Shui is a lot easier than you think! Most, importantly, by now you can save yourself a lot of money, in addition to gaining a flexibility that was unheard-of in traditional Feng Shui, and you can do this with the help of a new technology, of which most traditionalist experts wish it would disappear! In fact, there is absolutely no need any more to limit yourself to pre-determined locations and pre-determined methods of construction. This is so, because Feng Shui + Chi Energy = The Ultimate Flexibility! => Dynamic Feng Shui or Feng Shui Plus !! In fact, this is extreme flexibility, which allows you to project the Feng Shui Energy of your choice into whichever sector of your house you prefer it to be active. Moreover, you can carry the Feng Shui energy of your choice with you anywhere you go. In fact, this extremely versatile technology makes you independent of any local Feng Shui energies. 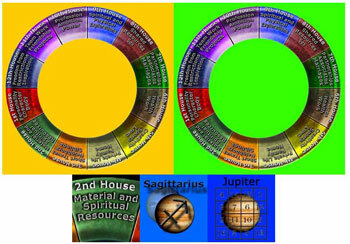 Feng Shui-Plus is a New Technology, which is based on Ancient Knowledge. It is a result of the Invention of the Chi Generator® by Karl Hans Welz. All you need to do is call us or send us an e-mail and ask us for a free 2 hour feng shui test: We will send Feng Shui Energies to you. Following the extremely easy instructions in the test, you can modify this energy, send it to yourself or to any location in your home or office, and you can do this at any distance! Wilhelm Reich and Franz Anton Mesmer 150 years before Reich invented the orgone accumulator, which is a device that accumulated life force, or Chi energy, from its surroundings. Consequently, Feng Shui-Plus provides you with the means to be totally independent of any feng shui energies that surround you naturally: Wherever you are, you can now receive the feng shui energy of your choice regardless of the location or feng shui "corner." You can do this by projecting the feng shui energy of your choice into that location or, better, by surrounding yourself with the feng shui energy that you determine as being the ideal one for your purposes at that specific point in time and location. In fact, by now you can be the one who is in full control of your Feng Shui energy !!! and you can get the evidence right away with the free test! All it takes are a quick reference sheet, a Chi Generator® such as the CE 69, the AO 1100 or the AO 2000, a Transfer Couple and a Feng Shui Bagua Set. With this equipment, setting up the Feng Shui energy of your choice in the location of your choice will be as easy for you as 1-2-3! Gone for good are the days when you had to go to a specific location just to be in the “correct” Feng Shui corner that is most suitable for your purposes, and gone for good are the days when you had to spend hundreds, if not thousands, to have some "professional " follower of traditional, by now totally obsolete, methods of Feng Shui advise you how to re-arrange, even re-build (for additional money) your business and/or your home. This expansion of your options became possible as a result of combining feng shui with the invention of the Chi Generator®. The choice which way to go is yours, of course. Example: Above an office, the layout of which was considered "impossible" by practically all of the traditional "experts" who, at that, got paid well to come to such a conclusion. As far as the traditionalistic approach is concerned, they certainly were right. However, with the new technology of fengshui-plus, you can now even make very effective an office like that one above, and, most importantly, this does not cost you an arm and a leg in re-arranging, even re-building. A closer look to the example below reveals something else that's extremely useful: You can project dual and even three-fold energies wherever you want to do so! And, naturally, you project the Feng Shui energy wherever you want it to be active. In fact, now you can perform the free chi transfer test into your office before you decide to change the overall energy in your home or office! All it takes to click here and to follow the instructions! Most importantly, there is absolutely no risk involved, financial and otherwise, and it's for free! This is truly a big difference to costly "expert" consultations! Yes !!! Powerful Chi energy that is generated by your Chi Generator® makes it possible for you by now to project the Feng Shui direction of your choice to any place and to any person of your choice, including yourself! In fact, with this extraordinary new technology, you can now make use of Feng Shui energies in ways that the traditional Feng Sui consultants did not even dare to dream about. Those are methods that very likely many of the "traditionalists" are going to reject, because such methods go way beyond their rather tradition-rooted, i.e. rigid, ways of thinking: With this advanced equipment, you can now custom design Feng Shui energies of your choice by combining two or more of the Feng Shui corners. In addition to this, you can have the same direction in more than one location of the same room or apartment. Such phantastic pot ential simply does not exist in traditional Feng Shui! The AO 2000 is more powerful than the AO 1100 and it offers you more options. Moreover, the AO 2000 is a water optimizer as well. Below: In this example, the tremendous advantages that you can get when using the advanced AO-system are obvious! Here you can see two transfer disks in the same corner of "Wealth and Prosperity." You can put the two transfers into the areas of your choice, no matter what the Feng Shui energy would be according to traditional thinking. This truly revolutionnary method is way ahead of the traditional methods of adjusting to the existing "climate" of Feng Shui energies in your home. In fact, this advanced method compares to using technology for the purpose of making a location suitable for one´s needs such as putting heating and air-conditioning into your home and using this technology to regulate the temperature there as you wish, which, according to "traditional thinking" would not exist there. Performing this feng shui test will give you this exciting practical experience and much more! Performing this feng shui test will give you this exciting practical experience and much more!